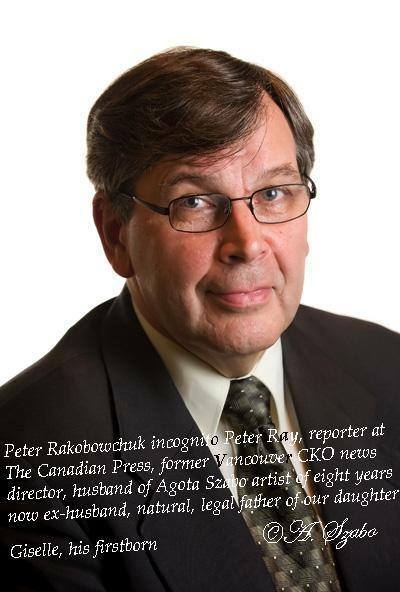 Peter Rakobowchuk a.k.a Peter Ray denied the existence of his first legal child from his first marriage just as Patricia (Pat) Enborg wrecked our home. 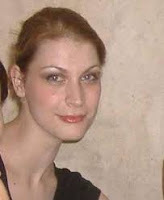 Patricia(Pat) Enborg had Peter Rakobowchuk alias Peter Ray "The Canadian Press" reporter send his first Canadian family to Europe, and left them there, so she could marry him. Don Newman started work on Parliament Hill about the time we moved to Ottawa. Don Newman (CBC) and Peter Rakobowchuk (Broadcast News - The Canadian Press) worked on Parliament Hill as members of The Parliamentary Press Gallery at the same time for several years. Now, she is Peter's 2nd wife and also his campaign manager. Pat became Peter's wife yet no trace on the net of Peter Rakobowchuk being married to Patricia/Pat Enborg. They are not seen anywhere with their own Rakobowchuk children, Lisa and Alex, either. There are posts of Pat, boasting of being married to Peter Ray a pseudonym name only. Not a word of Peter Rakobowchuk, as her husband. Patricia, living with Peter as wife-campaign manager has full access to Peter's computer, e-mails, internet accounts and she is an expert in communication and digital media. Peter is not.